Our Remanufactured Engines are dismantled completely: after a complete washing, all parameters of the wear parts are measured and, in case do not meet the limits set by the manufacturer, they are replaced with new and original parts. 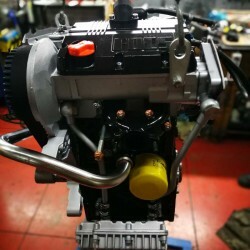 To each engine are replaced with new and original spare parts: bushings Desk, bushings connecting rods, pistons series, complete gasket sets, complete distribution kit replacement with water pump for liquid-cooled engines. Engine head control and revision is performed, replacement valve seats, smoothing and polishing of the cylinder head, hydrostatic testing, polishing crankshaft, rods wear control, pump control and injectors. After a careful control, the parts are reassembled and tested on the bench. For this our Remanufactured Engines are like new and will have a long life. 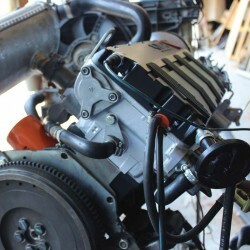 Remanufactured Engines There are 2 products.